This NEW Thule item may have been reboxed. All original parts and manuals are included. Item is in new condition and covered by Thule's full warranty. The Thule 7501b, 7502b, 7503b 7504b Complete AeroBlade Edge Raised Railing Mounted Car Roof Racks include feet and AeroBlade Edge Load Bars. AeroBlade Edge Load Bars are silent, strong and safe. The AeroBlade Edge Racks are sharp looking, aerodynamic and quiet. The AeroBlade Edge crossbars feature an integrated bar and foot design for the sleekest, most aerodynamic fit possible. The AeroBlade Edge will work perfectly with Thule Bike Accessories, Thule Ski and Snowboard Accessories, Thule Kayak and Canoe Accessories, Thule Cargo Boxes, Thule Cargo Baskets, and Thule Rooftop Cargo Bags. 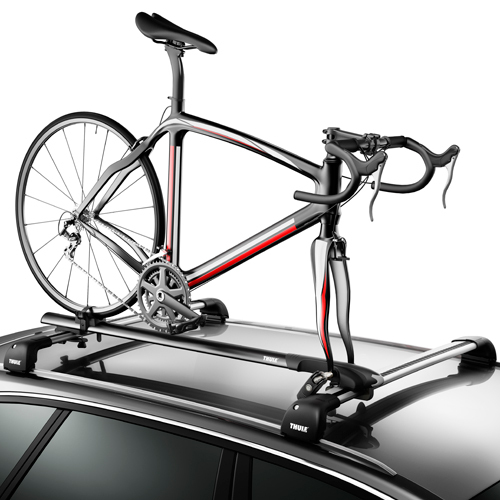 Thule's AeroBlade Edge Car Racks have a slightly arched, low profile design that compliment vehicles with rounded roofs. The AeroBlade Edge crossbars will enhance any vehicle's appearance and deliver Thule's maximum load carrying capacity of 165 lbs. The AeroBlade Edge Racks are designed to fit vehicles with factory raised railings. The t-slot in the top of the AeroBlade Edge Load Bar includes an inset filler strip with Thule's Wind Diffuser Technology - a textured surface that disturbs airflow for reduced wind noise and improved gas mileage. The AeroBlade Edge locking covers are easily removable for easy access to the integrated t-slot - allowing for easy accessory installations. Some carriers may require Thule Xadapt Kits for t-slot mounting. Thule's AeroBlade Edge crossbars are available in 4 vehicle specific models. To ensure you receive the perfect fit, your vehicle information will be requested during checkout. 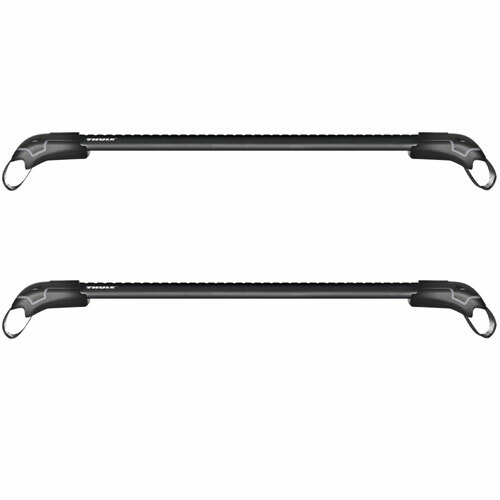 Thule's recommended AeroBlade Edge Load Bars will be provided. 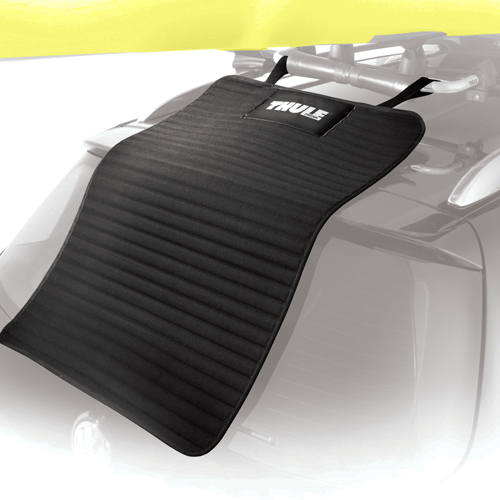 Thule lock cores are recommended to lock the rack to your vehicle (sold separately - see below).